Moving overseas can be a complex task, particularly if you have never done it before! Thankfully, the friendly staff at Schepens are available to help. Our talented staff will guide you through the entire removals process, from picking a delivery schedule and insurance plan, through to dealing with customs paperwork. We specialise in performing removals to Dubai and other areas of the United Arab Emirates. Our staff are trained to British Association of Removers standards and are highly experienced at performing removals to Dubai. They understand the logistics of the journey well and can efficiently transport your cargo to Dubai or any other part of the UAE. Our company is family owned and has been in operation for more than 100-years. Over that time, we have established a reputation for being honest, reliable and very professional. Schepens are the perfect choice for removals to Dubai because we have the right combination of local knowledge, skills, and experience to make the move simple for our clients! It is not a complicated procedure to move to Dubai. Listed below is the primary documentation required for an overseas move. WHY CHOOSE SCHEPENS FOR INTERNATIONAL REMOVALS TO DUBAI? Schepens regularly ships to Dubai and other parts of the UAE. That gives our clients a great deal of flexibility when choosing their removal schedule. Because we ship a large amount of cargo to the region, we obtain bulk discounts from fuel suppliers and partner shipping companies. We pass those discounts onto our clients. Schepens can store your cargo at one of our secure storage facilities. We offer affordable rates for our storage services and all facilities are highly secure. One of the most difficult parts of moving to Dubai is packing your possessions appropriately for the journey. Schepens can help you with this task! Our experienced removers understand exactly how to pack fragile items so they survive the journey to Dubai. All items are packed very efficiently, using the highest quality packing materials. HOW LONG DOES SHIPPING PERSONAL BELONGINGS TO DUBAI TAKE? The door-to-door shipping of a Full Container will take between 6 to 8 weeks. A Shared Container Shipment will be cheaper, but will take longer, from 10 to 12 weeks. Dubai, Abu Dhabi, Sharjah, Fujairah, Umm al-Quwain, Al Ain, and Al Fujayrah. IF YOU’RE MOVING TO DUBAI, THEN SCHEPENS HAS THE EXPERIENCE, EXPERTISE AND LOCAL KNOWLEDGE TO OFFER YOU A SMOOTH, TROUBLE-FREE MOVE. Dubai is one of the world’s most sophisticated and glamorous cities. Located in the north of the United Arab Emirates, Dubai is also known for its extraordinary wealth, ultramodern architecture, and prosperous economy. It is the largest city in the UAE and an important location for culture, business, trade, and the arts. If you are moving to Dubai this year, consider using an experienced international removals company like Schepens. We will make the entire process much simpler and ensure that your possessions make it to their destination safely. With over 100 years of experience, we are the leading international movers to Dubai. Our family owned company has helped hundreds of clients move to this exciting city over the years and can’t wait to help you. This guide will share some useful information about Dubai and explain why so many people are moving to Dubai. We’ll also share the reasons why Schepens are the best international movers Dubai. Why are so people moving to Dubai from the UK? Dubai is one of the wealthiest cities in the world. It is an important location for business and trade within the Middle East and continues to attract businesses from around the world. It is the perfect location for anyone interested in developing their career or starting a new business enterprise. If you intend to work in Dubai, it is best to secure employment before leaving the UK and to obtain a residency permit well before arriving. There are many benefits to working in Dubai including access to employee-paid healthcare, employee-paid housing, and a tax free salary. If you consider yourself a foodie, you will love Dubai. It is home to dozens of world class restaurants cooking food in many culinary styles. In addition to the best Middle Eastern food you have ever eaten, you can enjoy traditional food from Thailand, China, Ethiopia, and many other countries. Dubai has a very low crime rate, a well-funded police force, excellent hospitals, and great schools which make it a family friendly location. There are also plenty of activities for the whole family to enjoy in Dubai including IMG Worlds of Adventure, Wild Wadi Dubai, Bollywood Parks, and Ski Dubai. It can take as long as 4 to 6 weeks to transport your cargo to Dubai, so it’s important to schedule your Dubai removal in as early as possible. You should also make sure details surrounding your employment or school enrolments are confirmed as soon as possible. The Dubai authorities are usually quite good at processing residency status and visas, but there can sometimes be delays. It’s crucial to have all of your important documents sorted and placed in a single location. This should include proof of employment, education certificates, qualifications, medical records, passport, birth certificates and so on. This will help you avoid any delays. You will require a passport and visa to enter Dubai. If you intend to stay for more than a few weeks, you will require residency status. You will also need to present a cargo list for your possessions entering Dubai. Fortunately, the dedicated move coordinator provided by Schepens can help you prepare a cargo list. Here are some helpful resources to make the process easier. Our removals are performed by friendly professionals who have been trained according to British Association of Removers (BAR) standards. By adhering to these standards, we ensure that our Dubai removals are performed to a high standard. Schepens is a large removals company that often performs Dubai removals. The scale of our operation allows us to perform removals at a lower rate than our competitors. We also offer clients part load removals to Dubai, where clients share a cargo container or removals vehicle to save on costs. Our family owned company has developed a very strong reputation for reliability, professionalism, and security. We will keep your cargo safe as we efficiently move it to Dubai. 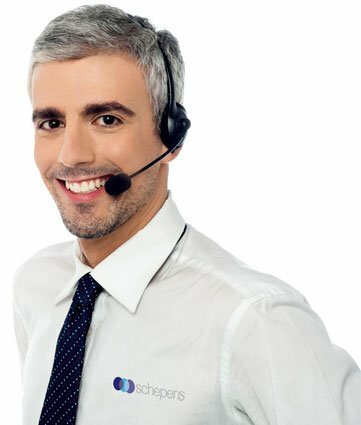 When you choose Schepens, you are choosing a reputable company that you can trust. Prospective customers receive a free no-obligation quote. Our quotes are highly detailed and share all of the information that you need. That includes the cargo being moved, the pickup date, the delivery window, and the total price. Schepens perform international removals to all major towns and cities in the United Arab Emirates, including Dubai, Abu Dhabi, Sharjah, Fujairah, Umm al-Quwain, Al Ain, and Al Fujayrah. If you require international movers Dubai, use Schepens! We make international removals to Dubai seem easy. You can contact Schepens today on 01794 323558 for an obligation-free quote! Dubai is one of the most beautiful and exciting cities in the world. If you are planning to move to Dubai this year, use an experienced international removals company like Schepens. Our team has the right combination of experience, local-knowledge, and talented staff to make your removal simple and stress-free! Here is some useful information that will help you plan and execute your move to Dubai. How long does moving to Dubai from UK take? The cargo transit times from the UK to Dubai are usually between 4 to 6 weeks. If you are using a shared load or group service, it can take a few weeks longer, depending on the number of other clients requesting a removal to Dubai. All cargo is bar coded and clearly labeled before leaving the UK, which ensures your cargo’s safety. What do you need when entering Dubai with cargo? To enter Dubai with cargo, you will need a visa, passport, and packing list. Schepens can help you complete customs forms and prepare a packing list for Dubai officials — making the move much easier! How should items be packed when moving to Dubai? The Dubai customs service likes to thoroughly inspect your cargo when you entering Dubai. They prefer books, CDs, electronic devices, and DVDs to be in separate containers so they can be easily inspected. All household goods and personal items are afforded duty free entry to Dubai. What items are restricted from entry into Dubai? Can I take my pet to Dubai with me? Thankfully, you don’t have to leave your furry friends behind! There are some very strict requirements for taking animals into Dubai including health certificates, vaccinations, microchips, import permits, and rabies tests. Can I take my car to Dubai? The Dubai government does allow foreign vehicles to come into the country, but they must meet UAE specifications. They will also be subject to duty. You can learn more about moving vehicles into Dubai here. How Schepens makes moving to Dubai from UK easy! Our talented move coordinators have helped many clients move to Dubai and understand the customs paperwork that is involved. They can help you complete the paperwork and find the appropriate forms. Packing is one of the most inconvenient parts of moving house. Why not have Schepens do it for you? Our experienced removers will ensure your possessions are adequately protected for the move to Dubai from UK. They will also pack your items in a way that makes passing through customs easy. Schepens is a full-service removals company that also provides cargo insurance and storage services. We can streamline the entire removals service! What is life like in Dubai? Dubai is the most populous city in the United Arab Emirates (UAE) and is the capital of the Emirate of Dubai. Over the past 50 years, Dubai has emerged as a global city and important business hub within the Middle East. It is a very prosperous city with world class infrastructure. Dubai seamlessly blends Western influences with its Islamic culture, creating an experience that is like no other. It is home to ancient historical sites and some of the most technologically advanced buildings on the planet. The city embraces both its past and the rich future that lies ahead of it. Dubai is a city where many entrepreneurs and business people congregate. That makes it an excellent place to live if you are interested in starting a business of developing your career. If you are moving to Dubai from UK to relax and enjoy the city, you will find it has a lot on offer. Incredible beaches, a strong sporting culture, amazing shopping centres, world-class restaurants, and plenty of entertainment options. On the downside, there is a massive wealth gap in Dubai. The poorest people live in harsh conditions while the wealthy live like movie stars. That disparity can take some getting used to for people new to Dubai. These simple tips will make moving to Dubai from the UK simple! Dubai is an expensive place to live. You should organise your employment before leaving the UK so you immediately have an income. You will also need proof of employment to obtain a longer visa. Dubai is a diverse and exciting city, but it is definitely different to the UK! Be ready to experience culture shock. Children of foreigners can only attend private schools in Dubai — most of which are fairly expensive. Moving to Dubai does require quite a bit of paperwork. You can read more about the visa requirements here. You should also have other important paperwork in order, including your birth certificate, marriage certificate, drivers license, school records for your children, medical records and so on. Make photocopies of these important items so you can hand them over to government authorities, schools, and doctors as they are needed. Schepens currently perform international removals to all major towns and cities in the United Arab Emirates, including Dubai, Abu Dhabi, Sharjah, Fujairah, Umm al-Quwain, Al Ain, and Al Fujayrah. If you are moving to Dubai from the UK this year, use Schepens! We make all international removals seem easy. You can contact Schepens today on 01794 323558 for an obligation-free quote!